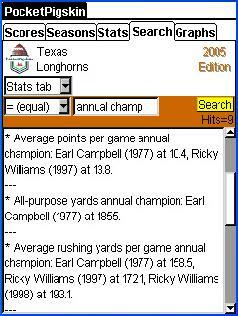 Games may be filtered by points scored by your team or by opponents. 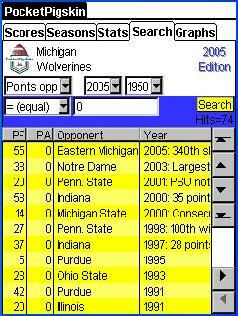 This is a convenient way to view shutouts, high scoring games, or low scoring games. 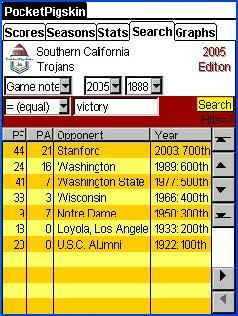 Searching the game notes is a fast way to find memorable games. Search the NCAA and team databases for key information.